After daylight savings begins, the days get darker earlier in the day and the cold winter weather approaches. While the holidays bring about a bustling, busy atmosphere that might tempt you to tackle your to-do list after January 1, there are several items you’ll want to get out of the way before winter sets in. A home maintenance task often overlooked by homeowners involves annually changing the batteries in your home’s smoke detectors and carbon monoxide detectors. It’s recommended that you replace the batteries once a year and by doing this at the end of the year, you’re less likely to forget it as the new year approaches. Additionally, it’s important to replace these batteries as winter season commences and your home becomes increasingly prone to fire – using your home’s heater, fireplace, festive holiday lighting and more. During the summer season – and truthfully, the rest of the year in Texas – it’s comforting to have the ceiling fan on blast, which can help cool down spaces in your home. When colder temperatures arrive, you can reverse the motor and operate the ceiling fan at a low speed, running clockwise. This can produce a gentle, comforting updraft that forces warmer air near the ceiling down into your living space. By doing this, you can prolong turning on the heat and ultimately, save energy and money. Thinking about adding a ceiling fan to a space in your home? Or maybe it’s time to replace what’s already there? We can help. Maybe your end-of-year task list includes preparing your home to become more energy efficient in the new year. Perhaps you’re looking to jump on the eco-friendly lifestyle or save money moving forward. Homeowners can become more energy efficient by upgrading their lighting from incandescent bulbs to LED, replacing the lighting that is constantly on – which means constantly costing you money – with an alternative solution, such as motion sensor lights. Need energy saving solutions or need to have your home’s electrical system serviced to ensure everything is in working order? Completing these electrical home maintenance tasks before the end of the year can keep your home in working order as you enter the new year – and beyond! Checking these items off your list can also give you great satisfaction, knowing you’re less likely to face an unexpected and potentially costly issue in the future. 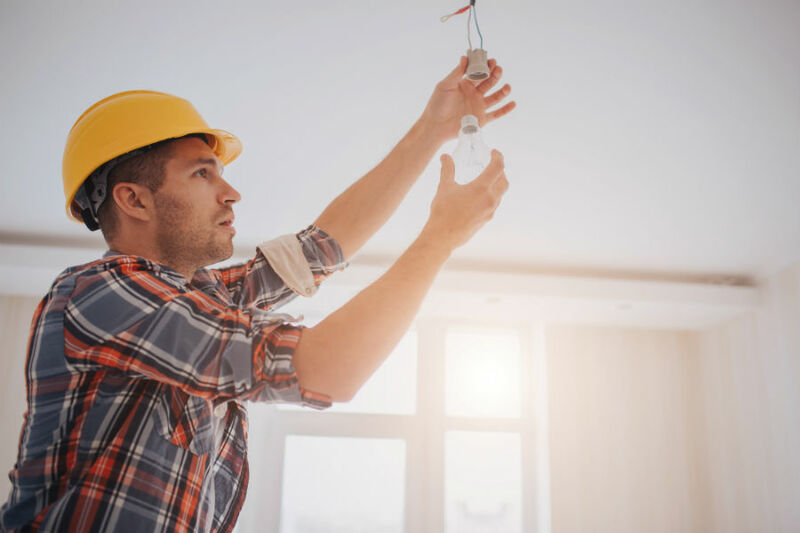 Whether you’re looking to check off these home maintenance items off your list before the new year or you’re seeking to make some major upgrades to enjoy in the new year, our professional team can meet all your residential electrical service needs.